It’s been less than a week since we started the photo thankfulness challenge over at Lemon Water’s facebook page. Despite writing this blog, I don’t usually share a lot on facebook, so this project is especially challenging for me. To top it off, my husband and I have made the decision of not sharing pictures of our son on facebook, which means that I have to be creative to show everything that I am thankful for without posting pictures that show our faces. Not easy. I dreaded the first post, and the second too, but yesterday and today, #3 & #4, I have found so many little things I am thankful for that showing our faces has not been necessary. It seems like today I could easily post several days worth of thankfulness, but I don’t want to. I am enjoying finding those little moments in my day when I have to stop and realize just how great something is, no matter how small. Baby sleeping in. Something to be thankful for. 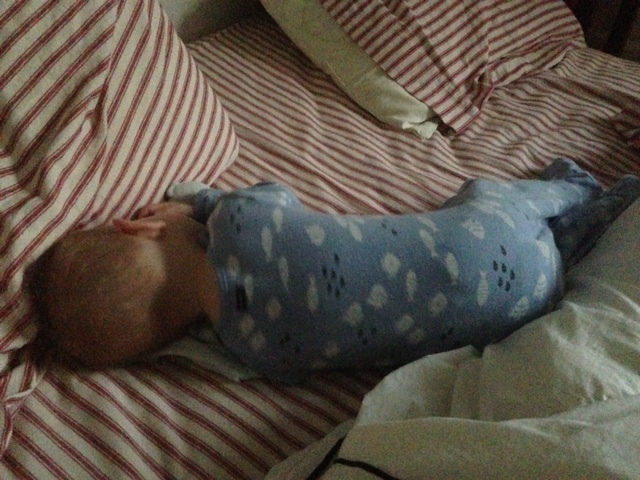 Today it was my son sleeping in a bit, tomorrow, who knows? What I do know is that having the thought of finding things to be thankful for has made me appreciate little things much more. I am, all of a sudden, happier in my life, as I realize how many great things there are in my life. This makes a simple social media challenge, something much bigger and important. I can’t take credit for the challenge, Mary had the idea to start it, but I highly recommend everyone do it, even if you just take mental notes. Life can be very hard, but it also can be wonderful. I am glad I am enjoying the little things more than ever. How is your challenge going? What smaller things are you thankful for?